While Amazon Web Services touts the self-service capabilities of its cloud, the company also works with a large number of channel partners to help companies migrate to and use its services. 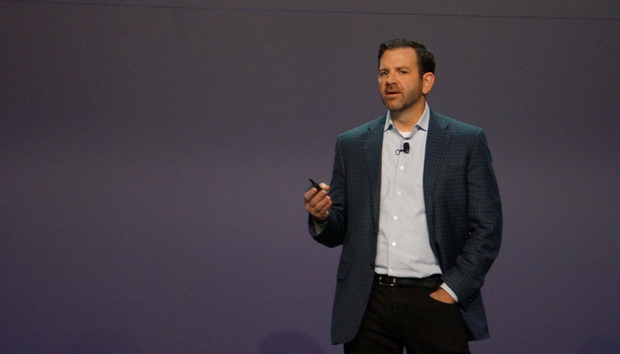 The cloud provider announced a suite of updates to its partner programs at its Global Partner Summit keynote in Las Vegas on Tuesday. The updates are focused on helping customers get increased use of Amazon’s cloud services and getting partners to invest further in AWS. The keynote was an opportunity for the cloud provider to make a hard sell to the companies that will help businesses adopt Amazon’s cloud services. Partners shouldn’t hedge their investment in the public cloud, but should instead commit to supporting one provider deeply and aggressively, AWS CEO Andy Jassy said. A new AWS service helps customers more easily find a partner that can help them with a particular problem. Customers can search the Partner Solutions Finder to get a list of companies that Amazon works with based on keyword, company name, and what Amazon service they work with. Customers can also filter the list based on use case, industry, and AWS product, so they can find companies with expertise in areas like life sciences DevOps. Companies that have deep expertise working with particular AWS services can also become part of the AWS Service Delivery Program, which is aimed at highlighting particular partners that are good at helping customers adopt specific offerings like Amazon Aurora, Lambda, DynamoDB, and GovCloud. That way, a company looking to do something like migrating their database to Aurora can find a partner certified to work with it. A few weeks ago, Amazon announced it is working with VMware on a service to let companies run workloads in the public cloud using the same software-defined data center stack they've used to manage on-premises software. The new VMware Cloud on AWS Partner Program announced on Tuesday will help service providers and other AWS channel partners take advantage of the forthcoming service. Partners that join the VMware program when it launches in 2017 will get access to training on the system. It will also include benefits like a special designation in the AWS partner directory, funding, and sales enablement. More details about the offering aren’t available yet. Amazon is trying to further grow the partner ecosystem around its Alexa virtual assistant with a new program aimed at helping service providers and software vendors integrate its capabilities with their products and services. The Alexa Service Delivery Program for Partners will give companies access to tools, training, solution blueprints, and support for the assistant, which is best known for helping customers using Amazon's Echo line of connected speakers. Right now, there are more than 3,000 "skills" available for Alexa, which give specific, focused capabilities to the virtual assistant. The new partner program is aimed at bolstering that number, especially for business-focused applications and services. The AWS Government Partner Program has been rebranded as the AWS Public Sector Partner Program, which will help partner companies reach government organizations as well as schools and nonprofit organizations. AWS also announced a new set of Business Builder tools that help companies build markets and deliver services. To help accelerate the growth of AWS in IoT and financial services applications, Amazon launched a pair of certifications for partners. The IoT Competency will help customers find partners that help enable the use of the internet of things, including software and hardware providers. The Financial Services Competency is aimed at highlighting providers focused on helping financial services companies. Partners offering services like transaction processing, asset management, risk management, data management, and consulting are eligible. All of this comes just ahead of the company's big Re:Invent keynote on Wednesday, which will be headlined by Jassy and is slated to feature a massive flotilla of announcements.